Denis Griffiths 1990 18 72 7202 20 minutes from downtown. 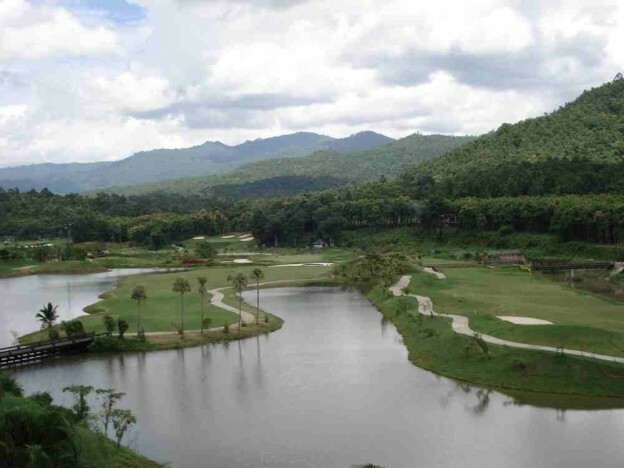 Summit Green Valley Chiangmai Golf Club is an excellent golf course that is beautifully landscaped and well maintained. The fairways may seem wide but golfers must be careful avoid the abundance of sand bunkers and water that can come into play on nearly every hole on the course. The greens are large and receptive to approach shots. However the course length, its elevation changes, and prevailing wind makes it a tough but fair challenge to golfers of all skill levels.